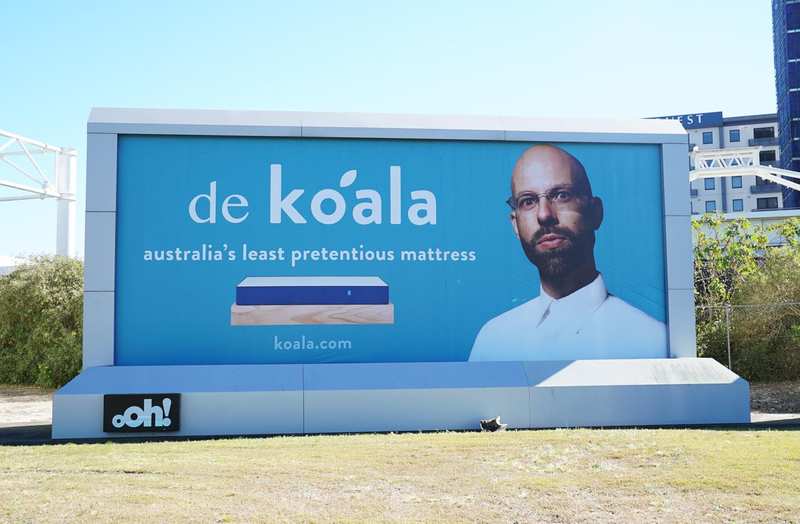 Local mattress manufacturer Koala has created a comical spin off out-of-home ad, replicating its competitor De Rucci’s well known ad located at Melbourne airport. The new Koala ad, located at Sydney Airport, has used the face of one of its product designers, Demetre Tryfiatis, to replicate De Rucci’s well known, serious face. “Australia’s least pretentious mattress” is the slogan the company has used. The out-of-home ad which was created in-house, used Koala’s design team, creative team and in-house media team. The mattress company has also adapted its name to ‘de Koala’ as part of the ad. The billboard is located on Qantas Drive in Sydney near the International and Domestic terminals Sydney Airport. I thought that more serious ad was something to do with chefs – like selling knives. Well, after all these years, now I know.